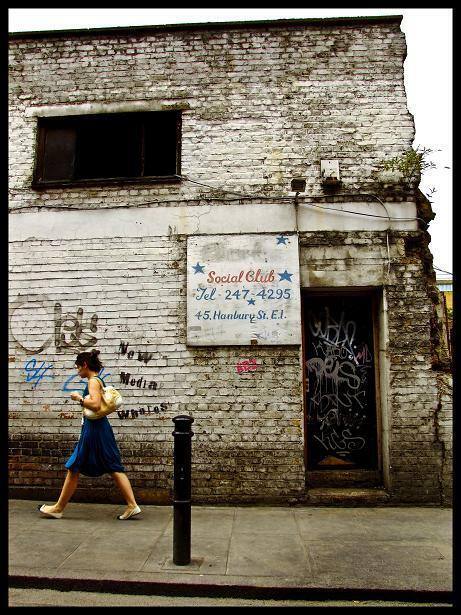 An unlikely location for a social club; a lady hurries past, unconsciously mirroring the colours of the sign - the crumbling East End. An elderly Bangla gentleman disapproves of me in Brick Lane. 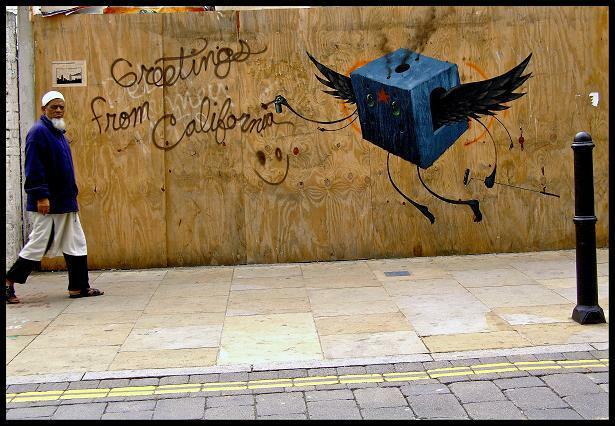 He's unaware though that by walking into my frame, he's creating a ludicrous juxtaposition - subversive street art welcoming one to California, in the middle of ethnic London, mirrored in colour by a conservative Muslim gentleman. 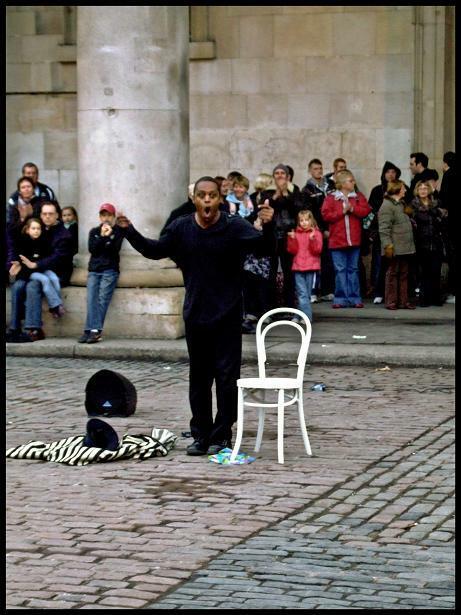 Suspended animation in Covent Garden - a street performer plies his trade. 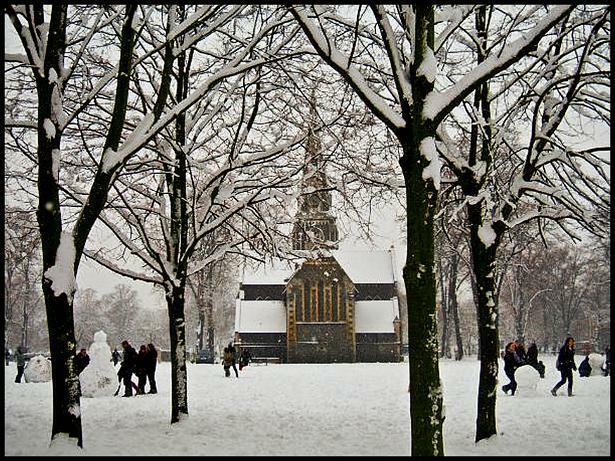 Turnham Green Church turns into a surreal winter wonderland just for a day. Just one of many scenes from the arctic blizzard in London on 2nd February 2009. 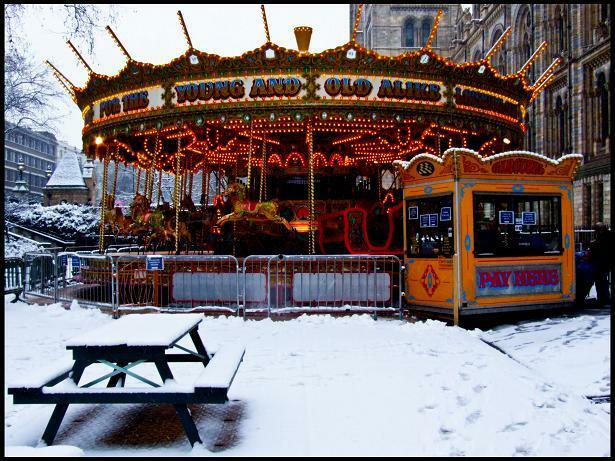 "For The Young And Old Alike": a carousel in front of the Natural History Museum stands out in brilliant contrast against the snow. A series celebrating the talent of our friends over in the Londonist Flickr pool. Here, they introduce themselves and share their favourite London shots. My name is Shilpa Bhatnagar, but I’m better known around photography and blogs as the Flaneurbanite. I have two homes - London and Delhi. Delhi is where I first discovered colour and composition, not through a lens, but through charcoal pencils, oil pastels, paint and canvas. Later, Delhi was where I picked up my first camera - my Dad’s simple Minolta automatic film camera; where I took my first pictures. It was where I tortured my family and friends by forcing them to look at my prints a hundred times and ‘admire’ them - whether or not they wanted to. My first digital camera was a Fujifilm E550. No longer was I encumbered with film processing times and costs and I went a little bonkers as a result. This camera became an extension of me. Over four years and thousands of pictures, I learnt so much more about photography and the cities I photographed. 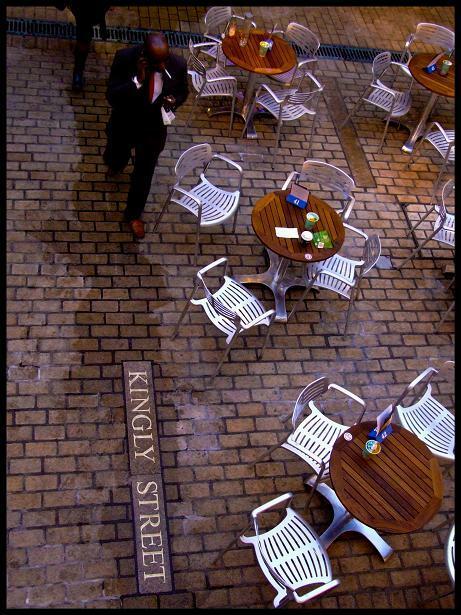 When I first came to London in 2006, I captured London as a student of City Design. Then, as a tourist; a curious newcomer; an explorer; a lover; and finally, as a flâneuse. Meanwhile, London became my second home and I moved on to using the Fujifilm S9600, a semi-pro. I still don’t use a SLR because I believe in exhausting the potential of a camera before moving to a higher version. I have miles and miles to cover as far as photography goes, but I find that my early training in art helps. 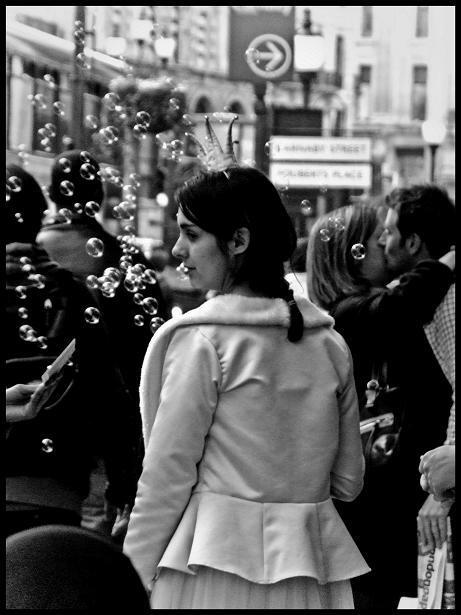 Creating a photograph is similar to painting a picture - except that in the former the scene is already before you and you often, especially in a frenetic, dynamic city like London, have only a fraction of a second to decide how you’re going to ‘paint’ it with your lens. You don’t need the most expensive brush to paint a stunning picture; likewise, you can create a great photograph with the simplest of cameras. I love the fact that London is a layered city, just like Delhi. The layers are made up of centuries of history, of architecture, of culture and of people from all over the world who continue to add to and subtract from these layers every day. Millions of stories reside within these layers. As a flâneuse, I read and rewrite these stories with my camera and a few words. It’s been just over a year since I started documenting these stories over at my blog, but it has been the most rewarding creative project I’ve ever started. One of the biggest rewards has been Londonist and I getting acquainted with each other - and I hope to continue clicking this wonderful city and contributing to this uber-fantastic website! Explore more at Flaneurbanite's Flickrstream and her Urban Legends blog.